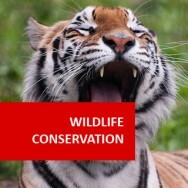 Wildlife conservation in the news May 22, 2014 Wildlife conservation is the practice of protecting endangered plant and animal species and their habitats. Among the goals of wildlife conservation are to ensu..
5 Frogs and Toads to Watch Out For Feb 09, 2016 Strictly speaking, the humble frog doesn’t rate highly in the minds of most people when it comes to dangerous animals. They don’t have t.. The Decline of the Angel Shark in Europe Aug 30, 2018 The angel shark (Squatina squatina) is a flattened kind of shark which looks a bit like a sting ray. It usually grows to about 1.8 m long (about as long as a hu..
Hello, As you said "The Diploma is accredited by the IARC". Is IARC a recognised accreditation organization? The IARC is an independent and international organisation, but not part of any country's qualifications framework. It wasn't formed to be officially recognised by government frameworks. However, many universities and employers will recognise IARC, because of what it stands for and the number of good learning establishments around the world, that are members. The International Accreditation and Recognition Council (IARC) is a not-for-profit association. IARC focuses on ensuring quality and consistency of services provided by our members schools, colleges, universities and institutions. IARC actively works with those education establishments. Annual auditing and visits are examples of this. Recognition by IARC provides an assurance that a member institution has satisfied a set of academic, ethical and operational standards. IARC standards are unanimously agreed upon by the committee and membership assemblage. To find out more please click here. The International Accreditation and Recognition Council (IARC) plays a role in ensuring the school’s quality standards relating to course content, delivery, assessment and administration are maintained. IARC's role as an independent recognition association is gives reassurance the school has undergone checks relevant to the post-secondary education industry in general terms. Please note, that we always advise students who wish to use their qualification to get into a university, to check that it will be accepted, before enrolling. This is correct. You can choose to do the Diploma from the outset and save money. The fee for doing the courses individually would be £1,950.00, whereas taking the Diploma is only £1,230.00 when paying the fee up-front. Hello. I am interested in enrolling for the Diploma in Wildlife Management but am concerned about committing to the whole course at the start. Could I start by enrolling separately in a relevant module and then , if it goes well and I pass, 'stack up' six of the relevant modules by paying for each separately and doing one at a time, and come out at the end with a Diploma? Or do you have to enroll at the Diploma level at the beginning of the course? Many thanks for your help. Yes, this is perfectly acceptable. You do not need to enroll on a full Diploma in order to build up to one and can do just as you described by adding a module at a time. The Diploma in Wildlife Management is worth up to 60 credits which you may be able to at an institution of higher learning. Students have successfully entered degree programmes once completing our courses, but it is up to the institution you apply to whether or not you obtain entry to a degree course. 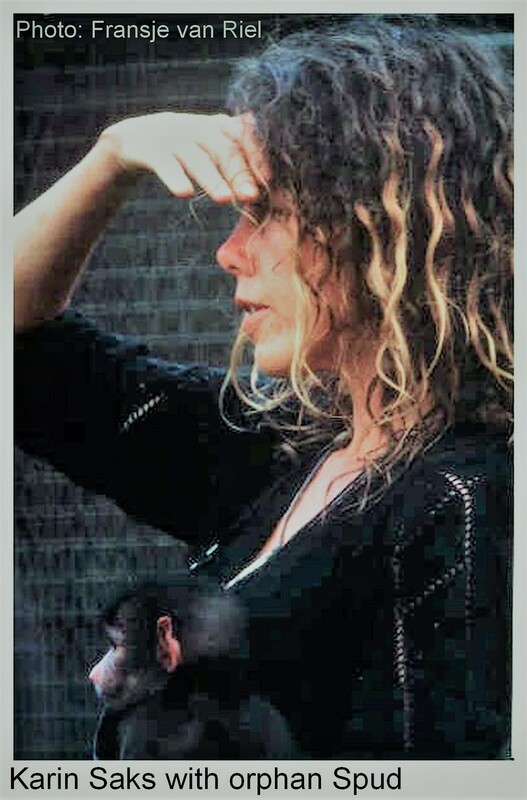 ( kasey shaw, 09/02/2014 ) Q: hi there, i live in london but am looking to move to australia, to help with conservation efforts there. would this course be recognised and help me to get sponsorship to work over there? thanks in advance! 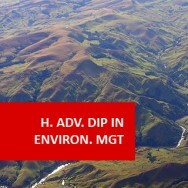 ( 10/02/2014 ) A: Hi Kasey, The Diploma in Wildlife Management is designed to meet the needs of a global audience and it should prove very useful for someone who wishes to work in Australia. With regards to sponsorship, I can only really say that it would help your case but it may not guarantee anything. 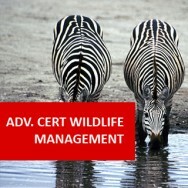 Diploma in Wildlife Management course online. 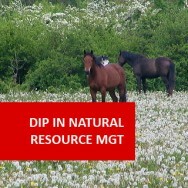 Discover how to manage Wildlife and Conservation in any global setting. 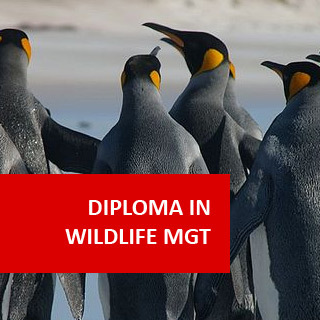 This Diploma will give students a broad based introduction to wildlife management that can be applied to all types of wildlife around the globe. 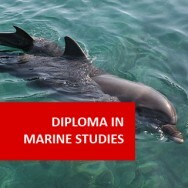 This Diploma aims to give you the skills to determine and consider ways in which environments and ecosystems can be protected. Wildlife management is the manipulation of wild animal populations and their habitats for the benefit of both humans and wildlife. 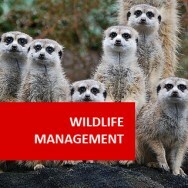 This Diploma in Wildlife Management is endorsed by TQUK - an Ofqual approved awarding organisation. 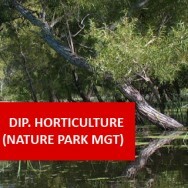 There are three core modules and three electives modules to complete in this course. 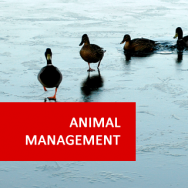 Gain all important hands-on experience with wildlife animals, to add to your CV whilst you are studying your Wildlife Management Diploma with ADL, or after completing it. 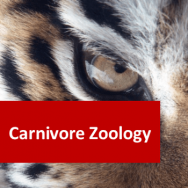 We are very happy to be associated with GVE, which offers an unforgettable volunteer experience in South Africa with their Game Capture and Vet Experience programs. His works are internationally recognised for their fine graphite and coloured pencil drawings. Chris has a strong passion for the wildife of Africa and Australia.